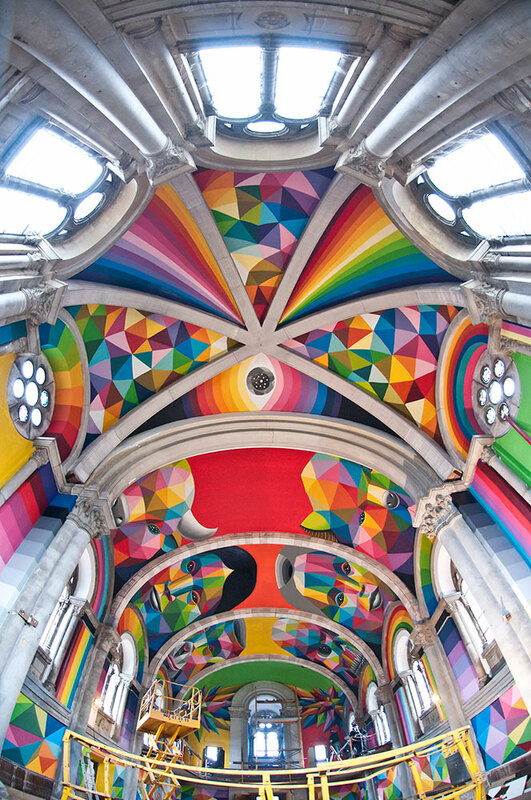 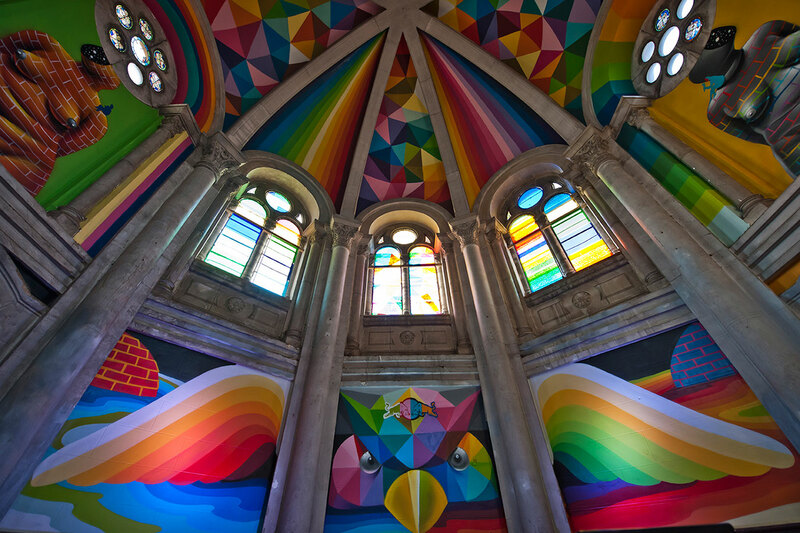 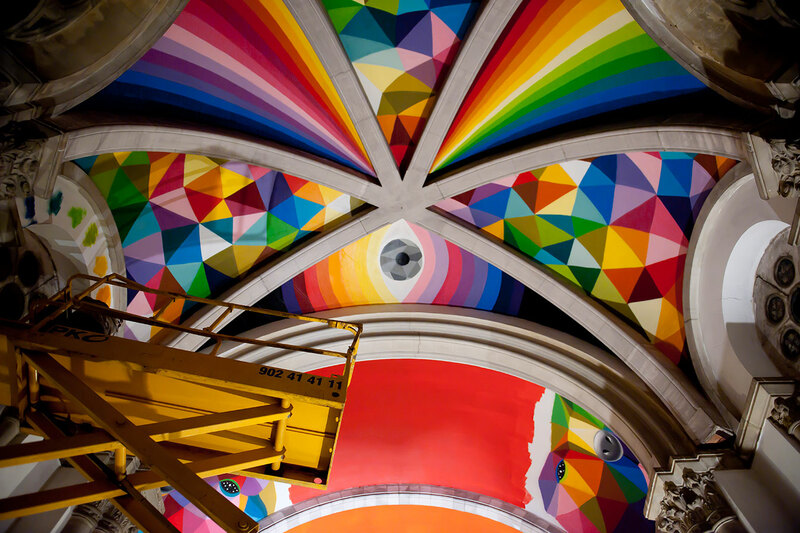 A Spanish church-gone-skate park has been given a facelift by artist Okuda San Miguel with the support of Red Bull. 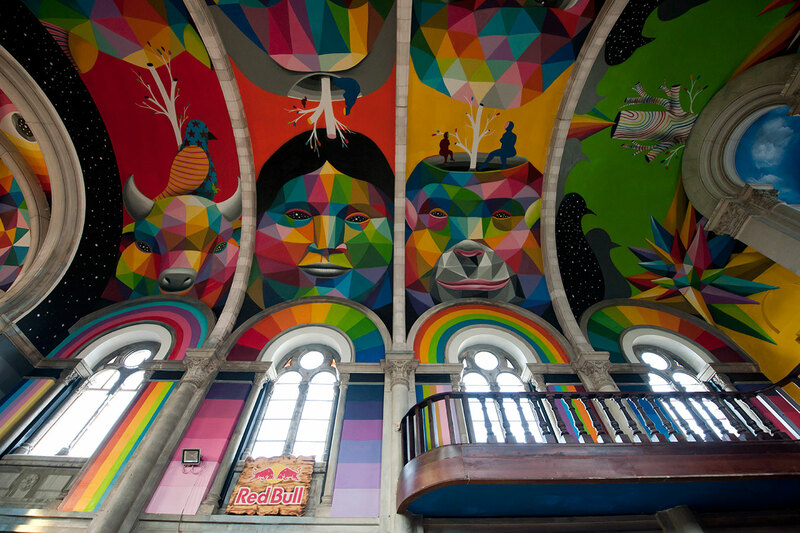 In what was once a historic church in the Spanish district of Llanera, Asturias, the site now hosts an indoor skate park thanks to the self-financing DIY group The Church Brigade. 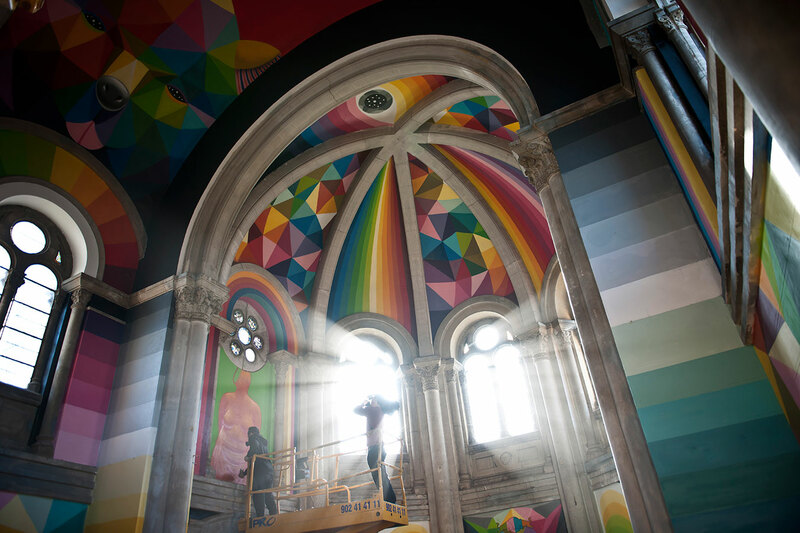 Back in October 2015 Okuda kick-started the project 'Kaos Temple' in order to transform the 'Iglesa Skate de Lanera (Asturias)' into a real temple of culture, where art and skate collide. 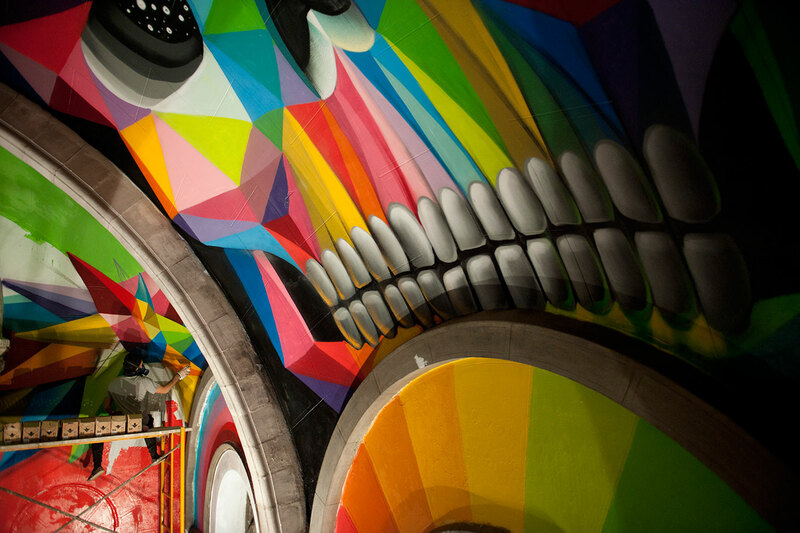 Faces, skulls and psychedelic wildlife formed from geometric shapes in vibrant hues make this a quirky sanctuary for lovers of art and skate. 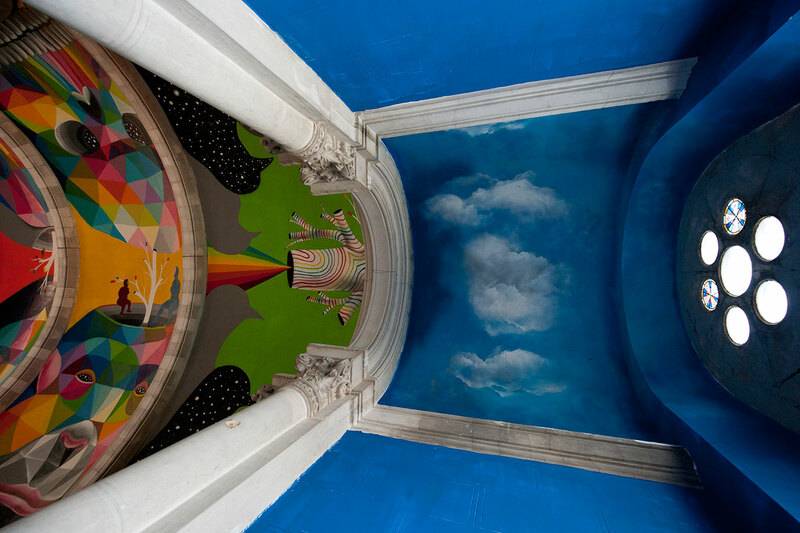 The walls and roof are adorned in the hypnotic artwork, juxtaposing against the residing church pillars and arches that remain untouched. 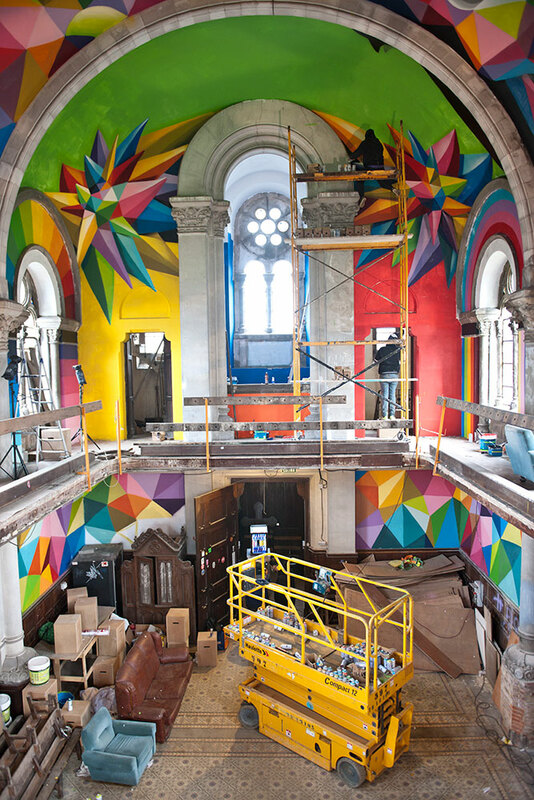 The Skate Church features touches of old and new - skate ramps take up the floor space while stained glass windows provide a glimpse of the past - representing a link between heritage buildings and urban art. 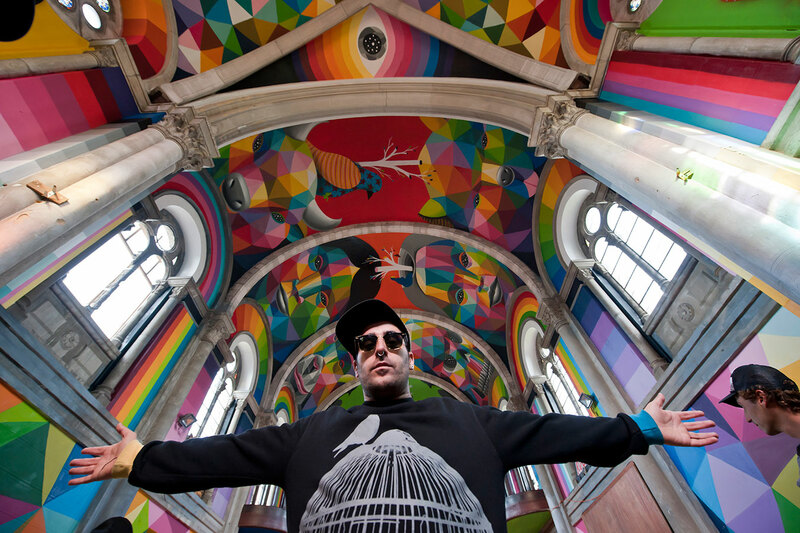 Red Bull skater Danny Leon from Madrid tested out the revamped park on the opening day.